Broccoli is a great addition to your summer vegetable dishes, so why don’t try planting it near the end of the year? Understanding how to grow broccoli at home will give you fresh ingredients for soup, stir-fry, and side dishes. If you plan to have a healthier lifestyle, planting broccoli can be a good start for regular healthy eating. Green Goliath has large heads, and if you plant it in large numbers, you can get broccoli continuously in several weeks. You can also get a lot of side shoots. The first harvest is around 75 days after planting. Romanesco has unique heads that have slightly jutting shapes, like corals. This broccoli also has light green color and slightly nutty flavor. The first harvest is 70 days after planting. Purple sprouting broccoli has small, multiple heads with bright purple color. However, the bright purple can turn green when you cook them. The first harvest is around 220 days after planting. Green Magic is medium-sized broccoli that has slightly smooth heads. The broccoli is famous for its heat tolerance, and you can harvest it 60 days after the first planting. Waltham 29 is a large broccoli variety with bluish green heads. It was famously favored by Thomas Jefferson and has continued to become one of the favorite varieties in the US. You can harvest it 85 days after planting. Calabrese is often used in various Italian dishes and has medium to large heads. You can harvest it 65 days after the first planting. Calabrese broccoli also produces numerous side shoots at this first harvest, but not as many afterward. Aside from these “true” broccolis, some vegetables have a close relation to them, and are also popular in kitchens. They include Chinese broccoli, broccolini, and broccoli Raab. Before planting broccoli in the garden, you must prepare the seeds first. Preparing broccoli seeds takes around eight weeks. Afterward, you can remove them to the garden. You can do it by planting the seeds in individual planters, with fertile pot soil mix and regular watering. Prepare these seeds before the last winter frost, so you can plant the broccoli in mid-spring to early summer. If you aim for fall harvest, plant your broccoli in early summer. 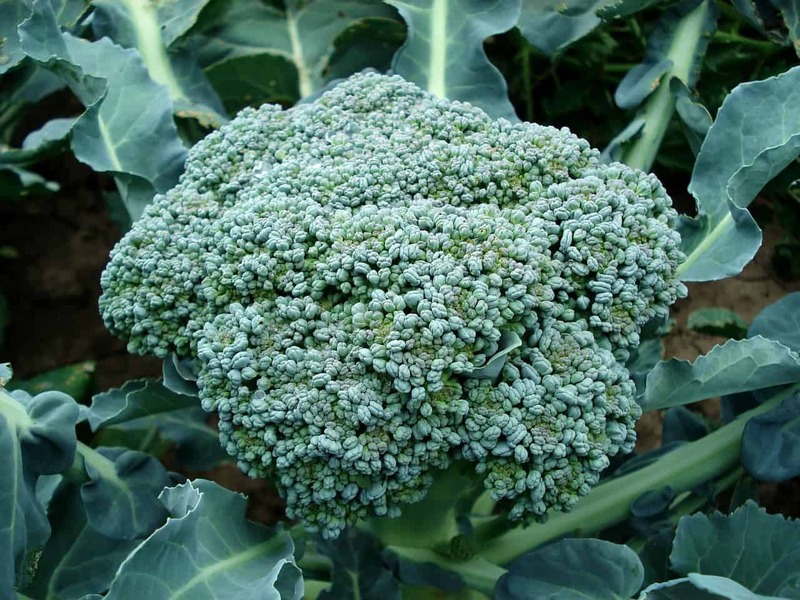 Broccoli enjoys cooler temperature, so consider the harvest period of each variety to calculate the harvest time. Broccoli plant loves fertile, slightly acidic soil. Rake your soil before planting the sprouts and treat it with a thin layer of aged manure. To plant the sprouts, make holes with ½ inch of depth and 12 to 24 inches of distance between them. If you plant the broccoli in multiple rows, make sure each row has about 36 inches of distance. When planting the broccoli sprouts, make sure your pat the soil properly. Add fertilizer three weeks after you finish planting. If there are multiple people at home, you can plant two to four broccolis for each person. If you have problems with space, you can plant broccoli in multiple containers. The containers must be eight inches in diameter, with 18 inches of distance between them. Growing broccoli requires regular watering and weeding. You must avoid wetting the heads, since they can develop mildew. You must also weed and mulch the broccolis regularly. If you want to plant companion vegetables, herbs, onions, celeries, and potatoes are the best choices. Several common broccoli pests include cabbage loopers, cabbage worms, aphids, cabbage root maggots, and flea beetles. You can get rid of them by spraying soap water (for aphids), handpicking the pests (for cabbage worms and loopers), or spraying natural pesticide such as Bacillus thuringiensis. One good way to get rid of cabbage moth and larvae is planting marigold. You can plant these flowers right next to the broccoli beds. Harvesting broccoli requires the right timing to get the crunchiest, most delicious vegetables. After counting the normal harvesting days for each variety, see if the broccoli’s heads have developed but still firm and tight (open heads mean the broccoli is inedible). Cut them along with six inches of stem. Don’t take all the stems and leaves to encourage the new growths. The best time to harvest broccoli is in the morning. Don’t forget to harvest the side shoots, especially if you harvest for the first time. This is because the amounts of side shoots decrease after the first harvest. Take one broccoli head and cut the hard base. Peel the stems before chopping the broccoli head into florets. Heat water in a plan and prepare a bowl of cold water while doing this. The first blanching step is heating or steaming. When the water is boiled, put all the florets into it, and wait for two minutes. You can also steam them for two minutes. Strain the freshly cooked broccoli florets, and immediately plunge them into a bowl of ice cold water. Wait for three minutes before placing them in a colander and let them sit for several minutes. Put all the broccoli florets on a baking tray, creating a single layer. Freeze them for two hours. Put the broccoli in a Ziploc bag or airtight container. These blanched florets will last for one year, but it is best to eat them before that. Broccoli is a great source of nutrition, especially if you can get the fresh one from the garden. Knowing how to grow broccoli is a great advantage to support your healthy lifestyle. The easy planting and storing steps will help you master them in a short time.